Abstract: It’s self-evident that students become increasingly responsible for their own learning as they move through grades. Whether Kindergartners learn or not is deemed the credit (or failure) of the teacher. But by grade 12, expectations are high that students can learn on their own; it’s routine to lecture, with expecting students will take good notes, and study them effectively for a quiz. Recent research has shown that students—even successful college students—use terrible study strategies. They are successful in spite of how they study, not because of it. In this talk I’ll focus of research into the best ways to study. This research not only has important implications for students, but for how teachers plan lessons. Brief Bio: Daniel Willingham is a Professor of Psychology at the University of Virginia, where he has taught since 1992. Until about 2000, his research focused solely on the brain basis of learning and memory. Today, all of his research concerns the application of cognitive psychology to K-16 education. 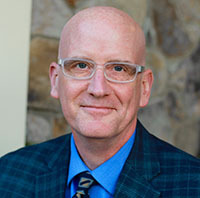 He writes the “Ask the Cognitive Scientist” column for American Educator magazine, and is the author of Why Don't Students Like School?, When Can You Trust the Experts?, Raising Kids Who Read, and The Reading Mind. His writing on education has appeared in sixteen languages. In 2017 he was appointed by President Obama to serve as a Member of the National Board for Education Sciences. Title: Psychology is a Science--Shouldn't our Teaching of Psychology be Scientific, Too? Abstract: When we consider the origins of our field, we see 19th-century psychology as struggling to separate itself from philosophy by asserting its position as a true science, a struggle which was somewhat overcome when greats like Fechner, Helmholtz, and Wundt demonstrated that psychological phenomena could be measured with precision. Despite their successes, modern psychologists seem to have retained this ancestral obsession with reminding others that we are, in fact, scientists. We clamor to be included in STEM efforts, we bristle at the label "soft science," and nearly every psychology textbook begins with a chapter on "Psychology as Science." We wield our scientific psychological tools with pride, gleefully pointing out cognitive biases and logical fallacies in others' work and issuing call after call to elevate the rigor of research in our field. Amidst all of these psychology-is-a-science proclamations, it is intriguing to see that our zeal for rigorous critical thinking doesn't necessarily follow us into the classroom. When we design our courses, we often leave our methodological training at the door, selecting teaching methods that confirm our personal biases, making no effort to investigate the reliability and validity of our choices, and neglecting to consider the effects of moderators and mediators on the relationship between our independent variable (teaching) and our dependent variable (learning). In this talk, I will challenge faculty to bring science IN - not only into the content of what we teach or into the methods we use when studying teaching (i.e., SoTL), but into our personal, daily practice of making learning happen. 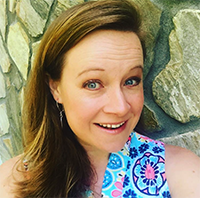 Brief Bio: Lindsay Masland is an Associate Professor of Psychology and the Coordinator for Early Career Programs for the Center for Academic Excellence at Appalachian State University in Boone, NC. She received her PhD in School and Educational Psychology with a concentration in Methodology and Statistics from the University of Georgia in 2011. She serves as a Consulting Editor for the journal Scholarship of Teaching and Learning in Psychology and is active in Division 2 of the American Psychological Association (Society for the Teaching of Psychology). Lindsay teaches courses in education, psychology, and statistics to future teachers and school psychologists at both the undergraduate and graduate levels. Her research interests lie at the intersection of academic motivation, effective teaching practices, and social justice, and her passion is to help educators make instructional choices that lead to transformative educational experiences for the many types of students they find in their classrooms. When she's not busy spouting off about evidence-based teaching, Lindsay can be found cooking, mothering, running, tap dancing, crafting, and performing musical theatre. Usually not at the same time.